Have you purchased radiant barriers for under your concrete slab based on this claim, " reduces radiant heat loss through floors" or "reflects 97% of radiant energy" or "It reflects up to 97% of radiant heat, the primary mode of heat loss in basements."? If so you may have been mislead. How big is the problem? Suggested Google search using, "insulations scams". The gentlemen managing the discussions have nothing to gain or lose on the topic; all are independent building and HVAC professionals. What should I do if I don't get information about the R-value from the manufacturer, retailer, installer or new home seller? Report it to the Federal Trade Commission. Use the online complaint form. Write: Federal Trade Commission, Consumer Response Center, 600 Pennsylvania Avenue, NW, Washington, DC 20580. The FTC works for the consumer to prevent fraudulent, deceptive and unfair business practices in the marketplace and to provide information to help consumers spot, stop, and avoid them. The FTC enters Internet, telemarketing, identity theft, and other fraud-related complaints into Consumer Sentinel, a secure, online database available to hundreds of civil and criminal law enforcement agencies in the U.S. and abroad. Click the pages below for detailed action by the FTC against insulation scammers. Section 460.13 of the R-Value Rule requires, “If you are a manufacturer, you must give retailers and installers fact sheets for the insulation products you sell to them.” When asked for a fact sheet one manufacturer replied it didn't have a fact sheet for the product. This excerpt comes from a industry technical bulletin, "The system R-value of R-1.95 results in an energy savings or reduction in heat loss of 56% when compared to the same concrete floor system without insulation." The Facts: Energy can neither be created nor destroyed ergo it can not be saved so the only true statement is a 'reduction heat loss' but what they don't tell you is that even with the bubble insulation the R 1.95 is still 256% less than the minimum standards of CSA B214 or 500% below the R10 requirements of many building efficiency requirements such as those specified in the OBC. It is irresponsible to make consumers think that a 56% reduction is better than no insulation when it is grossly inadequate. What does The Safety & Buildings Division, Building Products Evaluation, State of Wisconsin note for this manufacturers product? "The distributor and/or manufacturer may not reference radiant R-values associated with radiant testing of this product in the State of Wisconsin since these tests, and their associated results, are not recognized by the Wisconsin Department of Commerce as a means to demonstrate commercial building code compliance." See Notes on page 2 and 3 from the full report. ...and again from another website." "In a heated slab, Radiation is responsible for 93% of the heat traveling downward." The Facts: Two surfaces in contact exchange energy via conduction not radiation. Another site with ambiguous information where consumers could be led to believe there is radiant heat loss where none exist (click to enlarge). The Commission issued the R-value Rule to prohibit, on an industry-wide basis, specific unfair or deceptive acts or practices. When it issued the Rule, the Commission found that the following acts or practices were prevalent in the home insulation industry and were deceptive or unfair, in violation of section 5 of the FTC Act, 15 U.S.C. 45: (1) Sellers had failed to disclose R-values, and caused substantial consumer injury by impeding the ability of consumers to make informed purchasing decisions; (2) the failure to disclose R-values, which varied significantly among competing home insulation products of the same thickness and price, misled consumers when they bought insulation on the basis of price or thickness alone; (3) sellers had exaggerated R-values, often failing to take into account factors (e.g., aging, settling) known to reduce thermal performance; (4) sellers had failed to inform consumers about the meaning and importance of R-value; (5) sellers had exaggerated fuel bill savings that consumers could expect, and often failed to disclose that savings will vary depending on the consumer’s particular circumstances; and (6) sellers had falsely claimed that consumers would qualify for tax credits through the purchase of home insulation, or that products had been ‘‘certified’’ or ‘‘favored’’ by federal agencies. CHAPTER 6 ACI 318/318R-65, BUILDING CODE REQUIREMENTS FOR STRUCTURAL CONCRETE, p. 77, section R6.3.2 — "The code prohibits the use of aluminum in structural concrete unless it is effectively coated or covered. Aluminum reacts with concrete and, in the presence of chloride ions, may also react electrolytically with steel, causing cracking and/or spalling of the concrete." There is no "radiant" heat being lost to the ground. There might be heat loss to the ground but its not transferred by radiant but by conduction. "Improper installation of (reflective) insulation can reduce its thermal effectiveness, cause fire risks and other unsafe conditions, and promote deterioration of the structure in which it is installed." A word on testimonials used by manufacturers. Testimonials can be an effective sales and marketing tool because it preys on some people’s belief that if others are doing it - it must be good. Non engineering types frequently use other people’s statements as a way of making the fear of using a product or service seem less risky – and here’s the thing – these people want to believe the hype so bad – they will rely on testimonials from individuals who are not qualified to evaluate a product or system. Let me explain; heat loss to slab is a building science issue yet many people who sell or use these reflective barriers for under slab heating have no training in building science. We’ve seen testimonials made about comparisons between two identical buildings where brand x was compared against brand y. Brand x claims that building A insulated with their product outperformed building B with brand y. It is written in such a way that the reader concludes that the slab insulation was the contributing factor. While it may be true that building A outperformed building B but without scientific research one cannot make the claim that the result was due to the type of under slab insulation. If you read testimonials where a product “saved” or ”reduced” or “lowered” energy use and there is no scientific research to back up the statement – the claims should be viewed as speculation - and not to be relied upon as facts. "Radiant Barriers - Insulation That Saves Money As You Cool or Heat Your Home...Just as space suits retain the internal temperature of body heat from the astronaut while reflecting the cold of space, so does the radiant barrier which is installed in a family's attic." We'd sure like to know the principles behind 'reflecting the cold of space'...another marketing firm pretending to be rocket scientists...tsk tsk rocket man...seems you've lost your tin foil hat. Have you come across this statement from a bubble foil insulation manufacturer? "If you buy too much insulation, it will cost you more than what you will save on fuel." Think about it...what's the missing quantifier? That's right - the quantifier is...it all depends on what is the cost of fuel. Statements like these are designed to cause doubt in the purchasers mind...as Elmer Fudd says, "be vewy vewy careful" when reading this stuff. "...a seamless system that will not allow the transfer of heat or cold..."
If "will not allow" means stop it must be magical stuff since no insulation can stop heat transfer. This is how the pro's do it for aircraft hangars. It's how you should do it for your home as well. Why? Because the principles of heat transfer don't change just because your home has a 3" or 4" slab. Photos' courtesy of Dwight McKimmon. Common words associated with the unscrupulous marketing of reflective foil insulation. An obvious and intentional exaggeration. Open to or having several possible meanings or interpretations. Of doubtful or uncertain nature; difficult to comprehend, distinguish, or classify. Lacking clearness or definiteness; obscure; indistinct: an ambiguous shape; an ambiguous future. Allowing the possibility of several different meanings, as a word or phrase, especially with intent to deceive or misguide; susceptible of double interpretation. Copyright 2004-2014 Robert Bean, All rights reserved. For additional support visit our visitor services page. Yes...they'rrrre back...the snake foil faux insulation folks are at it again - see the latest pitch from the S & M (smoke and mirrors) crowd in our favourite series on "marketing masquerading as science", we call it: "Claims on the web"
For the facts: see below for our exhaustive list of science based research reports and statements from recognized third party authorities such as building scientists working with the U.S. Department of Energy, Building America Program, National Research Canada, University of Manitoba, and the Cold Climate Housing Research Center of Alaska; as well as advisories from U.S. Federal Trade Commission, States of Nebraska, Wisconsin and many other jurisdiction from around the world. When it comes to foil faced insulation and reflective paints - beware of the wolves in sheep's clothing. The FTC occasionally moves documents - visit the site for updates. Should you insulate under slabs? How much should you insulate under a slab? Since 1979 I've seen building products come and go and none has been as entertaining as the ebb and flow of insulating products particularly the reappearance of what I call reflective bubble 'faux' insulation or snake oil foil for under slab radiant applications. This is a classic case of marketing masquerading as science and solutions looking for problems where none exist. "They have been the subject of much controversy, as the claims made by many manufacturers were extreme (up to 100% heat shielding), with the consumer paying high prices for ineffective devices." "...multiple reflective materials do not address conduction and convection losses in building envelope cavities well enough to warrant their use in colder climates...The reduction in heat loss suggested by the product literature, however, was not achieved...In terms of cost, reflective materials are subject to the same principles of diminishing returns as conventional insulation. If it is not cost-effective to add more conventional insulation, it is probably not cost-effective to add a radiant barrier." "the defendants manufactured, distributed, sold and promoted "Perma R Plus" home insulation with R-values that were not based on R-value tests conducted according to the test procedures required by the rule." Beware of Insulated paint or ceramic paint type products that claim wild insulation values...Many of the R-values being presented are being done out of context with the intent to mislead. "In determining the R-value of reflective insulation, NAIMA believes evidence supports that the detrimental impact of dusting and corrosion frame the evaluation of thermal performance. 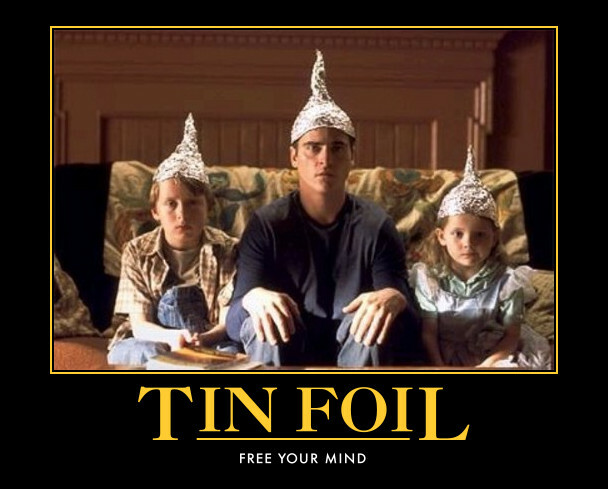 The Department of Energy’s ("DOE") "Radiant Barrier Attic Fact Sheet," issued in June 1991, reported laboratory measurements verifying that dust on the surface of aluminum foil increases the emissivity and decreases the reflectivity. Based on this finding, the DOE concluded that "dust or other particles on the exposed surface of a radiant barrier will reduce its effectiveness.’ Thus, observed the DOE, reflective insulation installed in locations that collect "dust or other surface contaminant will have a decreasing benefit to the homeowner over time." For instance, when DOE monitored reflective insulation installed in a dusty attic, researchers observed that 50 percent of the insulation’s effectiveness dissipated after the first year of installation"
"Our comparison tracked the amount of energy required to maintain the interior temperature of the three buildings at a constant 72 degrees F. In this demonstration mass insulation, using fiberglass, required less energy to maintain the set point temperature, for all four seasons, than did either the radiant barrier building...The radiant barrier building required more energy than the fiberglass building...to maintain the set point temperature for all four seasons. In this specific comparison, the fiberglass insulated building performed the best out of the three buildings." "Clearly, the result of misusing the listings, despite a builder’s good intentions, could leave a building owner with a product that has not been demonstrated to perform as required, and could leave a building official with having to explain why use of the material (reflective foil insulation) in this application was approved." "Values for foil insulation products supplied by manufacturers must also be used with caution because they apply only to systems that are identical to the configuration in which the product was tested. In addition, surface oxidation, dust accumulation, condensation, and other factors that change the condition of the low-emittance surface can reduce the thermal effectiveness of these insulation systems (Hooper and Moroz 1952). Deterioration results from contact with several types of solutions, either acidic or basic (e.g., wet cement mortar or the preservatives found in decay-resistant lumber)." "...one can only conclude that the reflective bubble pack products do not meet the International Mechanical Code (IMC). Since all other model codes incorporate similar if not more stringent requirements, it is unlikely that the reflective bubble pack insulations meet any of the model mechanical codes." "...horizontal application...the later will significantly degrade in performance from eventual dust accumulation (Fairey and Beal, 1988; Levins et al., 1990)." "It has recently been brought to AFIA’s attention that some insulation companies operating in Queensland, may be promoting unsubstantiated total in-service computation R-Values that have not been subjected to independent assessment and have not been calculated in accordance with current Australian and International Standards." "Many do not feel the modest winter savings are worth the risk of moisture problems or the likelihood of dust accumulation, which could eliminate any savings." (A Note on the 2003 Energy Design Update article: You will need a subscription to obtain the complete text wherein several bubble foil firms made these apologies), "…apologies to anyone confused by the statement”, “This was an oversight on our part”, “we realized it was erroneous” , “apologize for the misconstrued quote”. (To RIMAs credit they are doing their best to curb this behavior but many other unscrupulous firms continue to sell the snake oil foil story for under slab applications to unsuspecting consumers). "The R-value Rule specifies substantiation and disclosure requirements for thermal insulation products used in the residential market, and prohibits certain claims unless they are true. "The bubble-pack insulation had a low insulating value compared to the polyurethane panels and the XPS board. It’s cost benefit was the poorest of all insulating materials tested." “The floor we tested with bubble foil underneath did not look like it had any insulation underneath,” reported senior researcher in the CMHC policy and research division. "The FTC staff is aware of claims that are being made in the marketplace for foil-faced bubble pack products (or similar reflective or radiant barrier products) installed under concrete slabs. In the staff's view, it may be misleading for industry members to suggest that such foil products will reflect radiant heat when installed under concrete." "In heating dominated climates, they (radiant barriers) aren't very economical nor recommended in most cases. Unlike other insulation, there currently isn't a standard method for equating how well a radiant barrier works. Many manufacturers use the term "equivalent R-value." This really has no scientific meaning, and it often reflects optimum conditions and not necessarily climate conditions." "Imagine a new insulation material with a claimed R-value almost six times greater than standard extruded polystyrene. So high, in fact, that no other established insulation product even comes close to offering the same R-value/thickness combination. When installed below a heated slab, this material makes downward heat losses almost nonexistent. How is such spectacular thermal performance achieved? What have all those scientists at Dow, CertainTeed, Owens Corning and the other insulation giants been missing all these years?" "Reflective Insulation Systems - Reflective insulation systems are fabricated from aluminum foils with a variety of backings such as roof sheathing, craft paper, plastic film, polyethylene bubbles, or cardboard. These systems are not recommended for the cold and very cold climates. If a single reflective surface is used alone and faces an open space, such as an attic, it is called a radiant barrier. Radiant barriers are not recommended for cold and very cold climates." "It appears from the test results that a significant number of manufacturers and suppliers of insulation products are not meeting the required standards under the BCA...thermal performance cannot be left in the hands of manufacturers (and their trade associations) and must be endorsed by a recognised testing laboratory as per the standard." "As in most cases, claims for radiant barriers that sound too good to be true are too good to be true. If your roof accounts for less than 20 percent of your cooling load, then an attic radiant barrier can't possibly save more than 20 percent on your bills...over time, dust may accumulate on the surface of foil facing up. The dust will reduce the radiant barrier effect by allowing the foil to absorb rather than reflect thermal radiation." In direct reference to bubble foil insulation, "Selecting materials that do not meet the minimum code requirements can significant affect comfort for the consumer through excessive wasted heat into the ground and could be a very expensive proposition to rectify the condition." "The FTC complaint alleged that advertising claims for “The Barrier” exaggerated its R-value by over 600 percent compared to test results and misrepresented other thermal performance characteristics of the insulation. The FTC also charged that labeling for “The Barrier” and Microfoil insulation did not mention the products’ R-values or explain the meaning of R-value, as required by law. The complaint also alleged other violations of the R-value Rule, including the publication of ads comparing “The Barrier” to competing products without disclosing the R-value for both products." "In other words, multi-foil manufacturers who have used the comparative testing route are claiming the insulating properties of their product to be approximately three times better than can be verified using existing National or European test standards." "Testing undertaken by the National Physical Laboratory (NPL) appears to show that a multi-foil insulation product, when tested in a hot box against the internationally accepted standard for thermal insulation, does not meet claimed insulation values...when tested in accordance with BS EN ISO 8990:1996." "The NHBC has recently published guidance regarding multi-foil insulation performance in its Standards Extra, to the effect that multi-foils will not be accepted under its warranty arrangements until a consensus on the performance and testing of these materials is achieved." "This guidance resolves a growing problem whereby claims for thermal resistance of multi-foil materials based on arbitrary testing indicated much higher values than have been obtained when these materials are subjected to proven, relevant standard test procedures – sometimes by a factor of five...over recent years many buildings have been completed with foil materials not certified by accredited bodies which may not even satisfy the standards required by Part L: 2002, putting seriously at risk the Government’s stated intention to raise buildings’ energy performance standards..."
"...the statement is kind of deceptive, because it gives the impression that if you use this product (reflective insulation), you will cut the heat flow through the wall by two-thirds, and that clearly isn’t true." "...the state of Wisconsin does not recognize the reflective foil facing used on the product...“P2000” reflective insulation board will only be allotted an R-5 per inch..."
"...the marketers of P2000* have made claims about R-value performance that are much higher than those in C-578 and are rightly being challenged to prove it." "...this product can be installed but no credit will be given as under-slab insulation...SHALL NOT BE INSTALLED AS A STAND ALONE PRODUCT IN LIEU OF THE CURRENT CODE REQUIREMENTS." "Reflective foil under a slab, with no airspace, is totally ineffective as an insulator. Reflective foil with a bubble or foam core is only slightly more effective than the bubble or foam by itself." "In recent months the government has moved to give guidance on the use of multi-foil insulation...It has written to all local building control departments and to bodies such as the NHBC...(advising) they could no longer accept the thermal values claimed for (brand x) and similar products"
"The architects who specify such products and the building engineers who sign off houses insulated with them may be leaving themselves open to litigation from clients who will understandably be very angry that their new home is not insulated to the required standard." "We found no basis for the manufacturer’s claim of 77% reduction in heat loss due to (brand X) in an under-slab application. This heat loss reduction significantly exceeds even that of 2” extruded polystyrene insulation installed under the full slab, while the insulating value of (brand X) is much less...We conclude that an under-slab installation is not a good application for this type of product (bubble foil), even if only used to replace a vapor retarder." "As a result of countless inquiries from the general public, building contractors and building professionals concerning claims made by manufacturers of foil-faced bubble insulation (FFBI) products, Natural Resources Canada (NRCan) has prepared this paper dealing with the effective thermal resistance (RSI/R value) of these and other reflective types of products for the purpose of energy modeling under its energy efficiency housing initiatives." Read the full NRCan text on bubble foil. "...some multi-foil producers have been claiming thermal resistances or U-values based upon unproven, and therefore non-approved, comparative field test methods. These non-approved methods give apparent thermal values significantly better than those obtained using the Hot Box method. TIMSA does not accept thermal resistance values or U-values based on such methods and advises that such values should not be accepted for any project under current Building Regulations: Part L- 2006." "Claims of high R-values for reflective products when they are used as under concrete insulation are not supported by any industry or code body accepted testing methods. Products installed under concrete slabs cannot reflect heat because there are no air spaces present." "Q. Can I use a multi-foil insulation alone? A. The latest guidance dated April 2008 that we have been informed about from the Local Authority Building Control (LABC) is as follows: The group remain of the opinion that the thermal performance of all insulation materials should be determined by testing to National and European standards by organisations who are accredited to do so. On this basis there are currently no multi-foil products that can reach the current Building Regulation standard when used alone as a single layer." "If radiant heating sources are embedded in floors-on-ground or in walls, the assembly must be insulated to a level 20% better than the maximum overall U-value allowed by the MNECB tables". "Question: Will using only foil back bubble wrap for insulation under my radiant slab meet the Model National Energy Code for Commercial Buildings (MNECB) requirement 3.2.3.3 for Natural Resources Canada's (NRCan’s) validation service? Answer: No, using only foil back bubble wrap will not meet the MNECB mandatory requirements. A study by the Canadian Mortgage and Housing Corporation (Technical Series 04-127) shows a double-layer bubble wrap with an intermediate foil layer with an equivalent RSI value of only 0.4. You should note that NRCan’s validation of new building designs will only recognize results from third-party testing for products or materials from organizations such as the Canadian Standards Association and the American Society for Testing and Materials. " "Question: If a portion of the slab contains radiant floor heating, must I insulate under my entire slab according to the Model National Energy Code for Buildings (MNECB) requirement 3.2.3.3-3 for Natural Resources Canada's (NRCan’s) validation service? Answer: To qualify for NRCan’s validation of new building designs and to meet the interpretation of MNECB 3.2.3.3-3, you must insulate slabs with imbedded heating ducts, cables or pipes under their full area in which radiant heat is installed as per Table A-3.2.3.1 of Appendix A. Areas of the slab without installed heating ducts, cables or pipes need only comply with the other requirements of MNECB 3.2.3.3. You must physically isolate the sections of the slab on grade with installed heating ducts, cables or pipes from the unheated parts of the slab, either by vertical insulation or by an expansion joint. Or the under slab horizontal insulation below the heated sections must extend beyond the edges of the area being radiantly heated to a distance of four times the thickness of the slab." under the R-values regulations of the Federal Trade Commission regulations." * P2000 is an EPS insulation manufactured by Polar Industries. "...foil by itself does not provide thermal resistance; foil facing an air space increases the resistance of the air space. The increase in resistance achieved by subdividing will be reduced if any air is allowed to move from one space to another or if the reflective surface becomes coated with dirt or condensation." "The FTC today announced three R-value Rule enforcement actions – a stipulated final order settling charges against Enviromate, LLC, and its principal, Phillip A. Geddes; and a second order against Meyer Enterprises, LLC, Insulated Solutions, LLC, and Donald L. Meyer; as well as a federal district court complaint against Edward Sumpolec, doing business as Thermalkool, Thermalcool, and Energy Conservation Specialists." "Simply put, the contribution of reflective insulation to the building envelope in cold climate construction is minimal, especially when viewed in the context of the total R-value of the building envelope." "Based on this test Foil-Backed FB-EPS required about twice the energy to maintain a set-point temperature as did fibreglass batt insulation...FB-EPS was not able to maintain set-point temperature during a portion of time." "An Radiant Barrier System (RBS) with a 3.5" gap has a performance that varies significantly between operating at a temperature of 140 °F (i.e., a solar heated roof sheathing) with an R-value of about 10 and a temperature of 0°F (a cold winter night) with an R-value of only 2.5. Add additional variables such as dirt accumulation on the barrier and a wide range of performance values can be quoted. In most cases, the annual benefit of an RBS relative to an inch of insulation is small or non-existent:"
"Of course, installing them at all in a cold climate is not generally cost effective anyway". "Reflective Films: A common mistake in RSI value calculations is the assumption that reflective films contribute thermal resistance in all building assemblies that incorporate them. In fact, reflective films contribute resistance only when they are facing an air space, as it is only then that radiative heat transfer becomes at all significant. Thus, a reflective film sandwiched between two other materials will make no significant contribution to the thermal resistance of an assembly." Section 10.3.2. Thermal Insulation for Buildings of Residential Occupancy, item (3)"Reflective surfaces of insulating materials shall not be considered in calculating the thermal resistance of building assemblies." Reflective foils without an air space have an equivalent R-value of 0. Manufacturers’ claims for the R-values of reflective insulation need to be examined closely, because the R-value can change depending on where the insulation is used. Section 12.3.2. Thermal Insulation for Buildings of Residential Occupancy, item (3)"Reflective surfaces of insulating materials shall not be considered in calculating the thermal resistance of building assemblies." Ontario Building Code 2012 - Supplementary Standard SB-12, Energy Efficiency For Housing, January 1, 2012 update: Section 2.1. Methods for Achieving Energy Efficiency Compliance, 2.1.1.1. Energy Efficiency (5) "Reflective surfaces of insulating materials shall not be considered in calculating the thermal resistance of building assemblies." Better Business Bureau - March 6, 2012 - The Better Business Bureau of Minnesota and North Dakota (BBB) is issuing an alert regarding energy saving claims companies selling radiant barrier (or attic shield) insulation products often make. In many cases these companies solicit new customers by sending them postcards inviting them to free luncheons, where they're told they will learn how they can save up to 40% on their energy bills. The BBB is telling consumers to be wary of these claims and advising them to ask companies selling these products to substantiate or prove their claims. Wisconsin Building Products Evaluation - April12, 2012 Thermal Performance: Perka “P2000” reflective insulation board shall be installed as allowed by s. SPS 63.303. with a default R-value of 5 per inch of insulation. Failure to have ALL assemblies defined in this approval negates the R-values referenced in this approval, as well as the approval itself. "...all of Canada is considered a cold climate, so these products do not perform as promoted. Though they are often marketed as offering very high insulating values, there is no specific standard for radiant insulation products, so be wary of posted testimonials and manufacturers’ thermal performance claims. Research has shown that the insulation value of reflective bubble foil insulations and radiant barriers can vary from RSI 0 (R-0) to RSI 0.62 (R-3.5) per thickness of material. The effective insulating value depends on the number of adjacent dead air spaces, layers of foil and where they are installed. If the foil is laminated to rigid foam insulation, the total insulating value is obtained by adding the RSI of the foam insulation to the RSI of the dead air space and the foil. If there is no air space or clear bubble layer, the RSI value of the film is zero." A federal court ordered a home insulation marketer to pay a $350,000 civil penalty for making deceptive and unsubstantiated claims about his products’ insulation capabilities. On the Federal Trade Commission’s behalf, the U.S. Department of Justice won the order on the merits of the case without a trial. The $350,000 figure is the largest civil penalty awarded in a home insulation case. Edward Sumpolec, doing business as Thermalkool, Thermalcool, and Energy Conservation Specialists, violated the FTC Act and the agency’s Rvalue Rule in selling liquid coating and foil radiant barrier products. Sumpolec’s advertising included false claims such as “R-100 paint,” “This . . . reflective coating will reduce wall and roof temperatures by 50-95 degrees . . .” and “Saves 40 to 60% on your energy bills. "The Minnesota Department of Commerce, Division of Energy Resources has issued an alert to consumers who are considering the purchase of radiant barriers in their attics. The Commerce Department, which has received recent reports of salespeople pitching the radiant barrier product in flyers and at free dinners throughout Minnesota, warns consumers that radiant barriers are not a cost-effective way to reduce heating or cooling loads in Minnesota"
"A local government agency is warning homeowners in the Roanoke and New River valleys to be “wary” of two out-of-state companies offering energy efficiency products locally. The companies, EnergE Squad of Maryland and American Home Energy Audit of Minnesota, have mailed postcards inviting recipients to a free meal and presentation on ways to save energy and lower utility bills, according to the Roanoke Valley Alleghany Regional Commission, a regional planning agency." Energy Efficiency Factsheet, Principles of Heat Transfer by Dr. C. Roos. How Do Manufacturers and Distributors Come Clean? Do not mislead consumers to believe that having certifications or product listings means that the listing is for the 'claimed' performance. Do not mislead consumers to believe that buying and having memberships in several industry organization makes the performance claims legitimate. Do not mislead consumers to believe that participating on industry committees validates the performance claims. Do not mislead consumers to believe that energy savings or reduced heat transfer from a reflective foil product is a benefit when the benefit is substantially below energy and/or building codes. Do not mislead consumers with testimonials that are based on conjecture from those unqualified to evaluate thermal performances. Do report how tests are performed and in what context and noting that the reflective component may not be recognized by building officials having authority. Do inform consumers that aging of reflective foils potentially includes corrosion, fouling, oxidation and/or accumulation of dust/dirt which reduces performance. Do communicate that reflective foils under concrete slabs have zero radiant benefits and that "wet cement mortar or the preservatives found in decay-resistant lumber" may deteriorate some foils. In my 40 grit opinion, it behoves members of RIMA to report to the FTC any member or non member firm exaggerating R-value claims or providing ambiguous insulation performance characteristics; this includes "clever" combinations of text and graphics in sales literature which could be misleading. You have to do your homework. Scams related to insulation have existed for well over 30 years and despite numerous warnings from authorities consumers to this day still buy into the claimed "magic powers" of reflective insulation. When manufacturers, importers, distributors and installers can't follow the governing laws and/or make exaggerated claims, and/or use scientifically unsupported testimonials, and/or make claims without providing context, and/or lead you to believe that having a product certification and/or listing or belong to and/or sit on association committees validates their performance claims, you are not getting the facts. Never rely on testimonials from people who are not qualified to testify. Be wary of sellers using words like "equivalent R-value" or "nominal", or "approximately" or if claims are made to saving, lowering or reducing energy use without scientific research by a credible organization such as a university or research institute. If you buy products in a jurisdiction which does not recognize the manufactures claims and find yourself in a position of selling your property - knowing what you now know...do you want to have to defend your choice of insulation?